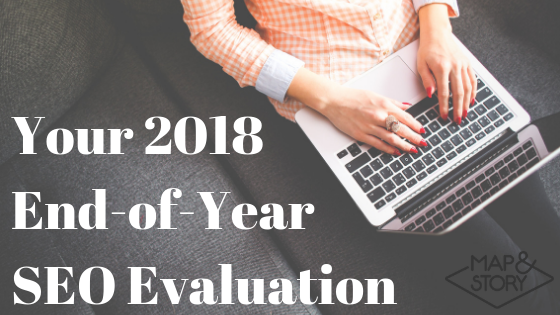 As we approach the countdown to end of 2018, now is a great time to step back and evaluate if your SEO, Search Engine Optimization, is doing its best work for your practice. Success in improving (and maintaining) a site’s search engine ranking comes by a continual process of strategic planning, executing, evaluating and repeating. SEO is a long game. Quality search engine optimization takes a significant investment of both time and energy. That is why it is so important to constantly analyze your strategy to ensure you are setting yourself on the best path. The title tag tells search engines what the page is about using keywords or phrases. Should be about 77 characters using keywords and mentioning your practice name. An enticing description to draw viewers in using keywords or phrases. Should be about 160 characters that include keywords and your main call-to-action. Keywords descriptors used for images. Alt tags make it easier for search engines to know what your page is about and it helps interested searchers find you. Inbound links strengthen those keywords internally for those pages and tells search engines that a page is relevant based on keywords and phrases. Outbound links should be used very, very sparingly. Make sure site is not clunky or hard to navigate. People will give up and leave. Ensure that photo and video file sizes are not too large. Slow loading time of a webpage will also steer visitors away. What words or phrases does your target patient audience search for? Work those into your writing. People love visuals! Spice it up! They help search engines know what your website is all about! Compile a list of keywords that patients often use related to your specialty. Increase your chances of showing up in search results of the ideal patients that you are looking to draw in. Search engines can detect how many followers you have an take that into account in their rankings. Provide social sharing links that are clear and visible on every page. Make it easy for people to share an article or page that they particularly enjoy. Keep up-to-date with world news and trends. You want to sparingly work them into your content. Use hashtags strategically to get your content in front of the eyes of your desired audience. So, how did your 2018 SEO strategy stack up? Looking for help with Search Engine Optimization to see growth in your medical practice? Contact us here!